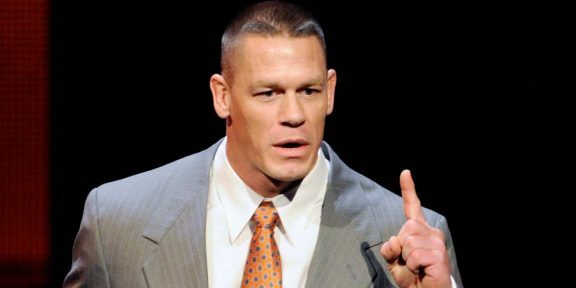 John Cena will be doing a few televised appearances today to promote WrestleMania, the first WrestleMania he will – supposedly – miss as a performer since his first one at WrestleMania 20. At 9AM EST he will be on NBC’s TODAY show, a show that he hosted several times in the past including yesterday. Before that he will be doing a radio appearance at 7AM on Z100 New York with Elvis Duran. At 11:35PM EST Cena will then be on The Tonight Show with Jimmy Fallon. Cena will also be on the TODAY show tomorrow at 9AM EST. Cena’s appearance coincides with three other WWE appearances today with Stephanie McMahon on ESPN SportsCenter at 10:30AM EST and Triple H at 9PM EST. The Wyatt Family will also be ringing the opening bell at the New York Stock Exchange at 9:30AM EST on CNBC.